Polycondensation of ethylene-bridged bis(saccharincarbonyl chlorides) with aliphatic diamines afforded soluble polyamide–sulfonimides. 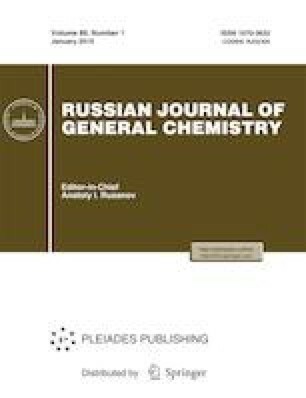 The effects of the concentration of the initial reactants and reaction temperature on the yield and intrinsic viscosity of the obtained polymers were studied, and optimal conditions for their synthesis were found. According to the DTA and TGA data, the synthesized polymers are characterized by a high heat resistance and can operate at elevated temperature. Russian Text © E.T. Aslanova, F.M. Mamedalieva, T.A. Aslanov, B.A. Mamedov, 2019, published in Zhurnal Obshchei Khimii, 2019, Vol. 89, No. 1, pp. 110–114.